Wash the skin before application and dry it . 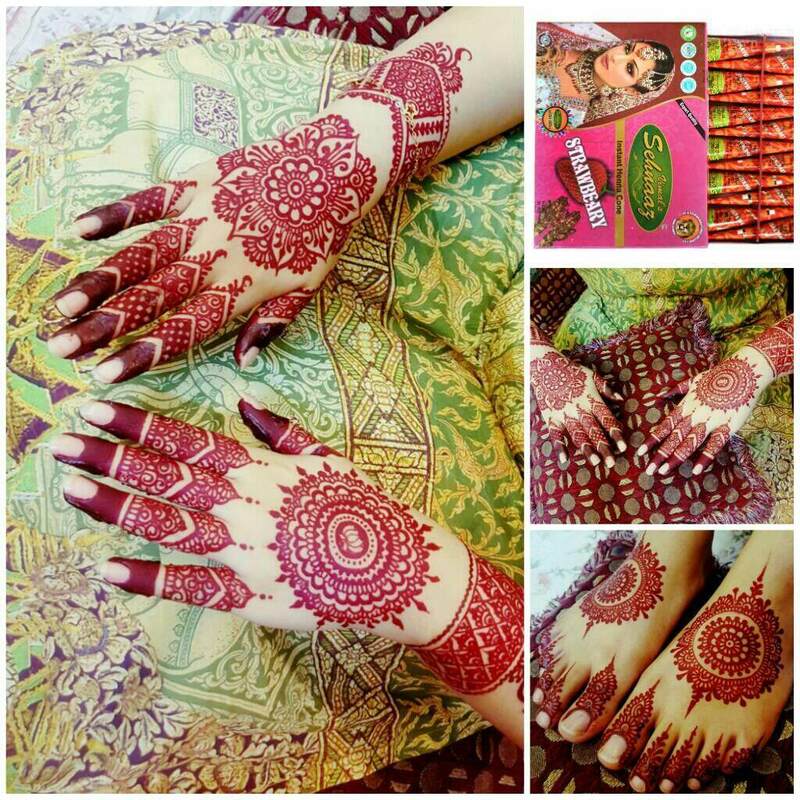 Then simply cut the tip of henna cone and apply henna . Leave it till it dries and then peel it off . Avoid water for as long as possible for a long lasting stain . 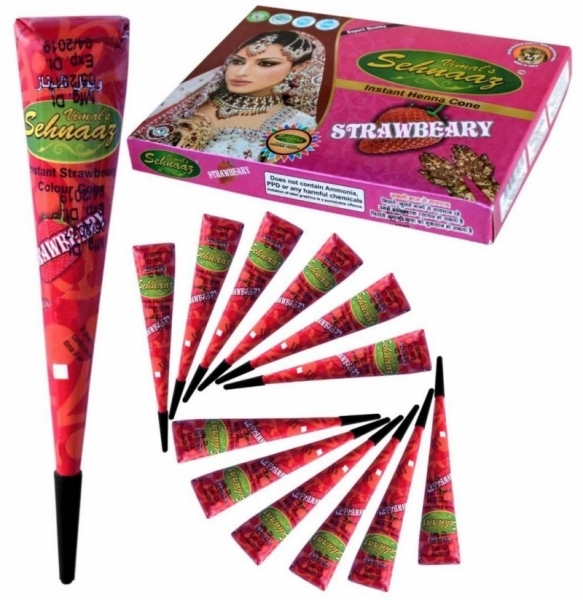 Golecha henna is available in the form of cones and tubes. It has almost 7 to 8 different colours. 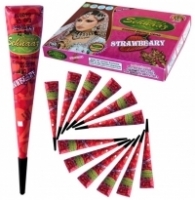 These henna cones and tubes are cilinically tested and have the test report printed on top of the box. According to the Clinical Test Report The Sample did not show any Erythema/Dryness Wrinkles and No signs of oedema formation was Observed after 48 hrs. Hence the sample passes the test. Which means it doesn't contain any harmful chemicals such as PPD. 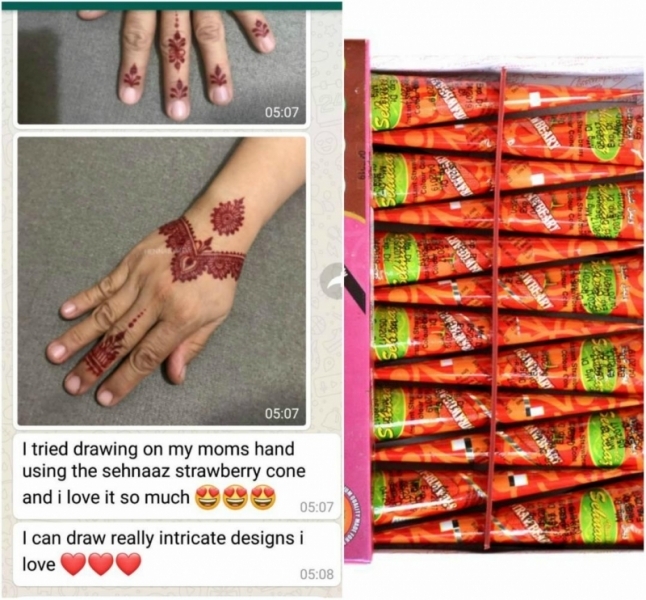 I'm using these henna cones and tubes once in a week on my own hand and everyday on my customers' hands . I haven't faced any skin problem. 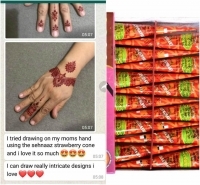 However some people may have sensitive skin so we always recomend our customers to perform a skin hyper sensitivity test before using this henna. Which means you apply the henna on your hand in a small quantity , after it dried wait for 24 hours in order to make sure that it works for your skin. It is 100 % Ayurvedic product.